Daylight Savings ends November 2nd, which means that we only have about a week and a half left until our morning commutes completely succumb to the (literal) Dark Side. Not even once. Studies show that relying on the snooze button actually makes us more tired because the sleep you get post-snooze button is of such a low quality. It’s actually better to just set your alarm to go off later — i.e. when the final time you’d press “snooze” would be, and just get up then. 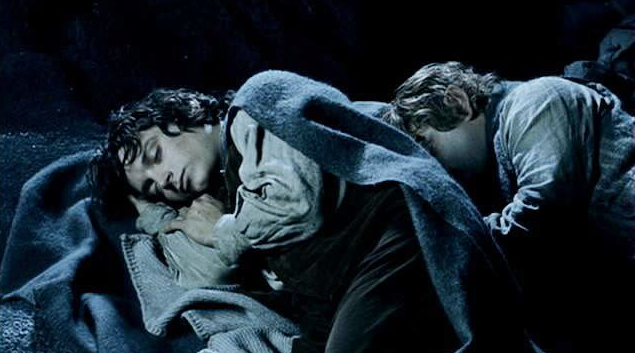 Thirty minutes of on and off sleep won’t help you feel any more energized — it will just make getting out of bed seem like a more impossible feat than bringing the ring to Mordor. Our bodies are naturally inclined to wake up gradually with the sunrise, which is a reason that getting out of bed when it’s dark outside is so painful. Try investing in a daylight alarm which you can program to begin gradually getting brighter as your alarm gets closer to going off. This has proven to be a total game changer for myself and everyone I know who’s tried it. You end up dreaming that it’s warm and sunny outside, and by the time you realize it’s fake, your alarm goes off and you’re already awake anyway. A. Sleep with a glass of water by your bed. As soon as your alarm goes off, knock the whole thing back. Drinking water naturally stimulates your body and helps get you quickly past that threshold of wanting to shut your eyes again. B. Program the coffee maker to start going off before your alarm so that your steaming hot elixir of life is ready and waiting for you as soon as your feet hit the ground. Programmable coffee makers have been saving lives for decades. Obviously you’ll want to make sure it’s clean… but wearing your workout gear to bed gives you a huge psychological benefit when your alarm goes off extra early in the morning so that you can do your morning workout. You’ve already committed to getting up early and working out because you slept all night in your clothes. It also removes a step from your morning routine. Try it at least once and you’ll understand. 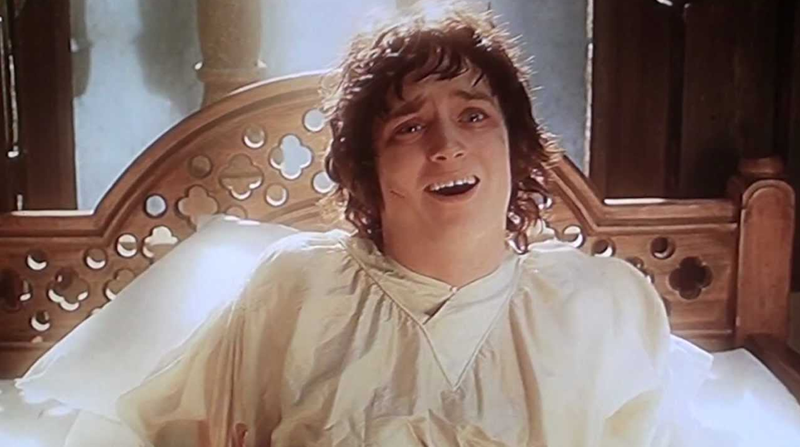 Frodo sleeps in his clothes all the time. This seems like an obvious one, but most people downplay their need for sleep and prioritize other things — family, work, athletics — over getting a full eight hours of rest. Really, sleep should be at the top of your list, as it affects our performance in every other area of our lives. Of course, everyone is different, and it’s been scientifically proven that some people require less sleep than others in order to function to their full potential, but most humans function best when getting a full eight hours of sleep each night. While it might not be obvious throughout the day, and you may feel incredibly alert, studies show that adults who get fewer than seven hours of sleep on a regular basis were less able to focus, think, and create. Don’t underestimate the power of sleep! Lebron sleeps twelve hours a day. We should at least be getting eight. How much sleep do you get each night? Have any tips on getting out of bed earlier during the dark months? Let us know in the comment section!